Two beautiful hardbacks, full of rhyming fun for 2 to 6 year-olds, plus hidden people, animals and objects! From Hunt & Thorpe. 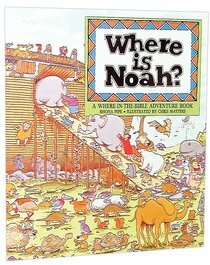 About "Where is Noah (Where In The Bible? Series)"